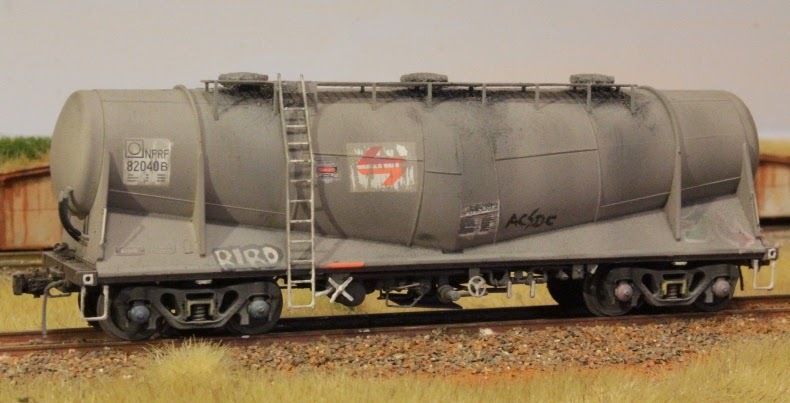 Time to detail the stock Austrains bogies. 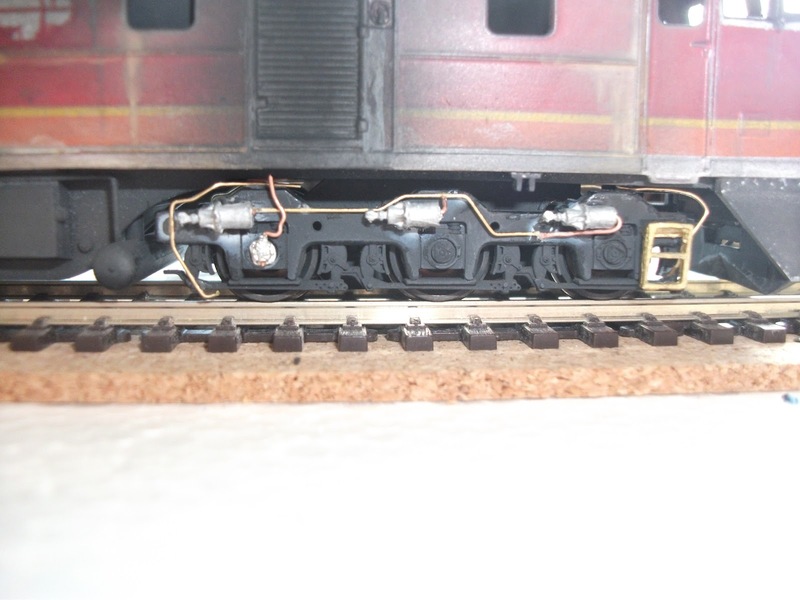 Brake cylinders and speedo's are from Keroby and the sander pipes are hand made by me to a template from a photo printed down to HO scale. 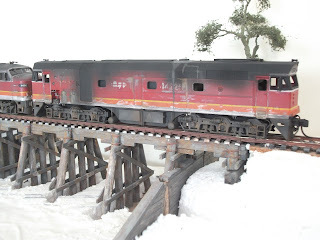 This detail is relatively simple to apply, its just a matter of filing down the old brake cylinders that are cast onto the side frames, and using pictures as a guide place the detail components in their correct places. 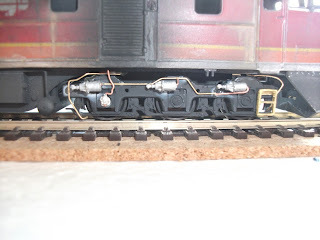 The bogies sitting under the body. 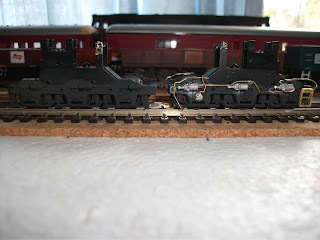 And the bogies licked with some paint and a bit of weathering. A huge difference to the stock bogies! Hi Kyle, I like what you have done with your sand lines, do you mind if I do something similar to my jumbos? Go for it mate! it was actually your blog posts about adding detail to your Jumbos that inspired this work! One thing to note is watch for clearance of the sander pipe where they "mount" on top of the bogie frame, i later moved the fixing point to behind the frame rather than on top of it.